Here’s what you need to know about how the program will work, and when aspiring college students will first see their tuition breaks. Seattle Promise is phasing in over two years, so not all high schools are immediately covered. Seniors at Ingraham, Garfield, Chief Sealth, Cleveland, Rainier Beach and West Seattle high schools are the first beneficiaries. Those schools are already part of a program called the 13th Year Scholarship, which paid for a year of tuition at Seattle’s community colleges through private donations. 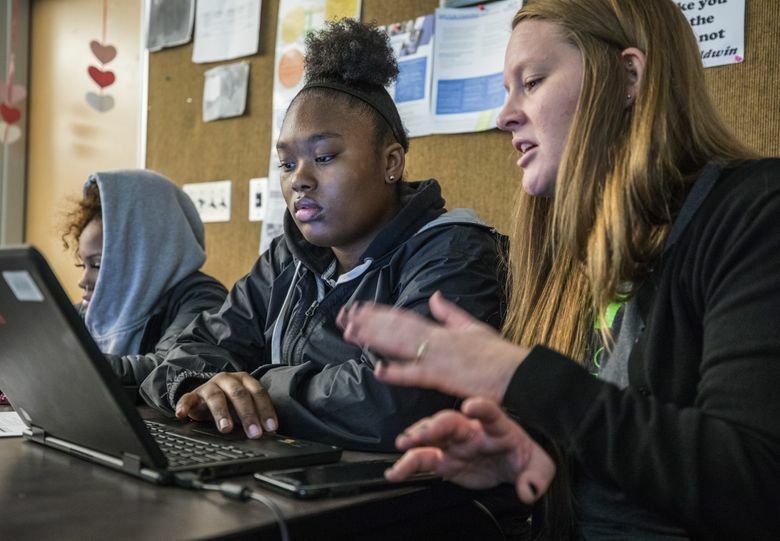 When voters overwhelmingly approved the Families, Education, Preschool and Promise Levy, they essentially bought the Class of 2019 at those six schools a second year of tuition-free community college. Students currently in 11th grade at 11 other Seattle high schools (the Class of 2020) will become eligible for free community college when they graduate. Those schools are: Ballard, The Center School, Franklin, Interagency, Middle College, Nathan Hale, NOVA, Roosevelt, South Lake, World School and Lincoln. The city’s lawyers are examining whether graduates of Seattle’s public charter schools will also be eligible, said Chris Alejano, who is Seattle Mayor Jenny Durkan’s education policy adviser. The levy doesn’t stretch on indefinitely — it is limited to seven years. Graduating high-school classes through the class of 2024 (today’s seventh-graders) will benefit, but then the levy will expire. However, the Seattle Colleges Foundation is working on building up an endowment that would keep the program going after 2024. “The hope is that we don’t have to go back to voters to sustain this in perpetuity,” Alejano said. The money is intended to help students earn an associate degree, and is limited to 90 credits or two years, whichever comes first. Earning an associate degree also means many students will be able to transfer into a four-year college as juniors, saving two years of tuition. But students aren’t required to stick to the two-year associate degree path — they can also use it to earn a certificate or other type of credential, which can take less than two years to complete. 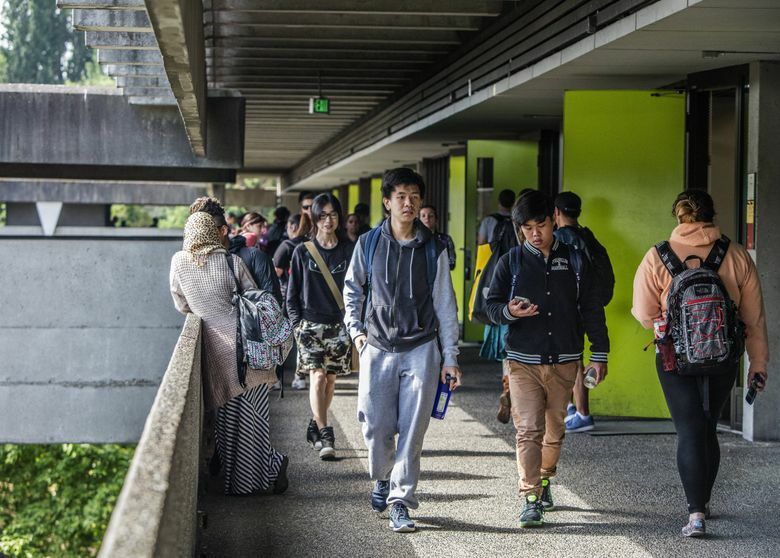 Earlier this month, Durkan emphasized that the program will involve much more than a free ride — it will also include support services to help students prepare for college and decide what courses to take and where to go. Durkan said students who are eligible should be talking to their parents and counselors about whether they want to go to college, and if so, what they need to do to get there. “They need to be mapping out what their strategy is,” and making visits to the colleges, she said. Currently, graduates of specific high schools are assigned to one of the three branches of Seattle Colleges based on geography (Sealth, Cleveland, Rainier Beach and West Seattle students are assigned to go to South Seattle College, for example, while Garfield graduates will go to Seattle Central College, and Ingraham students will go to North Seattle College). But by 2020, students will have flexibility in choosing which of the three campuses they want to attend.